Sometimes decisions are just hard. There’s no other way to put it. Many of you have probably noticed that my blog has been a little – okay a lot – less active than usual. It has a lot to do with decisions! I don’t bring faith into my blog very often. Maybe I should…a lot of my journey has been based on faith. From the start of our journey, John and I have learned about trusting in that promise, listening – even when it’s hard, and following when we feel led. All of that brings me to this. 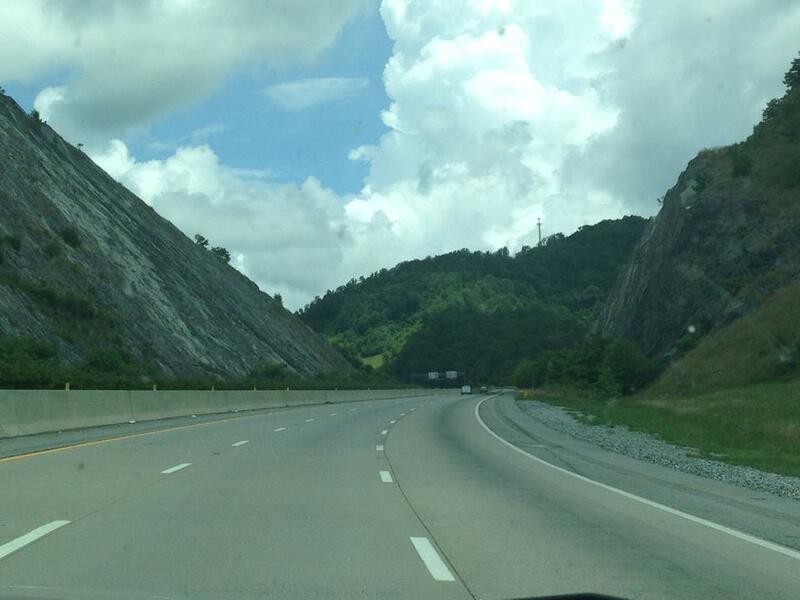 A few weeks ago, many of you know that we took a trip to Asheville, North Carolina. Some of you know the reason, some do not. I wanted to put it out there so you can all hear it from me as the message has started to spread! The reason we traveled to Asheville was to take a serious look around. A few months back, John was offered a position with his company there. We are told it will be a 18 month – 2-year position, and that we will return at the end. A lot of you look at that and think it seems simple, at least we know we’ll be back! Yes. This is true, however, with children, a very close family in Pennsylvania and a very real desire to feel settled – without waiting for whatever is around the corner, it required more than we ever imagined. After an initial, “no way, we’re staying.” John and I started to pray and to talk it out with those closest to us. For those who put hours into listening and providing input, we very much appreciate you and have carried your words with us through this process! Throughout the process we have not encountered a single “closed door.” Instead, it seems as though everything pointed straight ahead, into a new direction and a new journey. For me, this is terrifying and something that I’ve spent more time avoiding talking about than acknowledging. For John it is exciting! Having said all of that, we have decided to accept the offer. Staying in Pennsylvania for the next few months, our family will be relocating to North Carolina in January. Relocation means a lot. It means leaving those closest to us. It means stepping way out of our comfort zone. It means heartache and accepting that sometimes we will feel alone. It also means excitement. It means starting all over and building new relationships. It means stepping out in faith to something that we cannot even imagine. It also means staying close to those here and waiting with excitement for when we get the opportunity to return and finding new ways to keep old friendships fresh! Over the next few months, we will be preparing to sell our home and to find a new home in North Carolina. It’s a crazy process, but we are excited (and terrified) for what lies ahead. Thank you for your support…and thank you for following along on this crazy journey!